Young officers must strive to keep alive their creative and innotavive energies, and señor officers must encourage and promote this attitude…For both, it is a matter of duty and obligation. The essence of loyalty is the courage to propose the unpopular, coupled with a determination to obey, no matter how distateful the ultimate decision. And the essence of leadership is the ability to inspire such behavior. Although this is dogma, it is challenged daily by a double dilemma that has perplexed men-at-arms since warfare began. The first part of the dilemma is this: How should a subordinate behave when he has a novel and intested idea, or when he encounters proposals or decisions with which he does not concur? And the second part: How should a superior behave in order to elicit the most from the initiative and innovativeness latent in those under his authority? The student´s question will face many a professional officer at some time in his career. I say many a professional officer, but not all by any means. The agony of ¨How do I offer a new, and perhaps unpopular, idea?¨or ¨How do I dissent?¨will affect only the creative minds among them. The remainder will have little interest in getting out in front and inviting the hazard of criticism. They will content themselves with life in the dismal world of conformity, where success is measured not in benefit to the state but in avoidance of controversy. This timid behavior is an outgrowth of periods of peace, where promotion may be sought through a low profile and low risk, in contrast to war, where the rewards come to the leader whose visibility and accompanying risks are high. Another stimulus to prudent silence in today´s peacetime environment is the pernicious tendency for any fitness report marking short of perfect to be interpreted as a signal that the officer suffers some grave professional or personality defect. All of this reality may be discouraging to the military man blessed with a creative mind. Realistically, however, he has no cause to expect his life to be tranquil, nor does he have reason to expect always to be understood. Marine Maj Earl Ellis was a classic creative mind of the first quarter of this century.Most of his Marine corps peers saw him as an ill-tempered rum pot, but history now regards him as a misunderstood visionary who saw accurately the natre of the 1941-1945 Pacific War long before it happened. It is in this same sense that Socrates and Plato enjoy far greater reverence today that in their own times. Sun Tzu´s military dicta are more respected now than they were 20 centuries ago. And the same may be said of the writings of Clausewitz and Mahan. To be sure, these assurances of posthumous applause will give little comfort to the contemporary officer whose initiative and curiosity fall on rocky ground except for one thing. They are a reminder that creative minds of other days, advocating ideas in the face of discouragement and antagonism, won out in the end. And in this there must be solace for the lonely iconoclast. Almost worse than antagonism, the creative mind is often tested in the furnace of incomprehension. President Grant, when shown Bell´s telephone for the first time asked, ¨But who would want one?¨.And a bishop named Wright, when offered the proposition that man might one day fly through the air,said, ¨For man to try to fly is blasphemy.Flying is for birds and angels. ¨Bishop Wright had two young sons. Their names were Wilbur and Orville. Alexander Graham Bell and the Wright brothers persevered, overcoming the hostility and lack of vision around them, and they became fixtures of history. From the experiences of these resolute men we may distill the beginnings of an answer to the War College student´s question that set this discussion in motion. Call it Rule 1: Believe. Before offering a revolutionary idea, before disagreeing on any matter, large or small, know exactly what you want. Be certain that you believe in it completely.And thern stick with it. This is fine as theory, but how would it apply to an officer who has a real life, real tme prblem? Let us take,as an example, any one of the areas upon which there is some disagreement in the Marine Corps today, say the concept of maritime pre-positioning. Here is an ongoing, formally approved program. It enjoys substantial support. 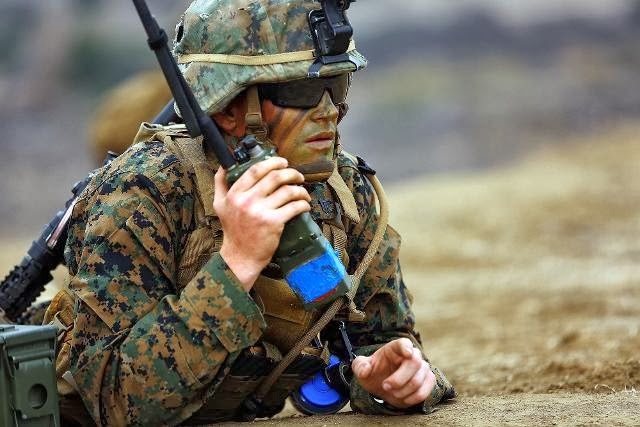 The Marine Corps already has the essential hardware in its possession.It has its operational guidance and is engaged in training designed to make the concept effective. Under these terms is thee any appropiate way for one who believes the concept is fundamentally wrong to make his views known? Yes, there is. It is found in the chain of command, the precious mechanism by which all military activity is driven. The dissenter should use it. He should prepare his case throughly, put it on paper and take it to his immediate superior, not with the limited aim of getting his concurrence, but with the more aggressive object of getting the superior to adopt the idea as his own. This approach may not work. The superior may not be convinced, in which case the next step is clear.Recast the paper,address it to the highest authority involved in the issue, deliver it to the immediate superior with the stated understanding that his forwarding endorsement is likely to be unfavourable.But the key point is this: The idea is now in the open, well developed and well expressed.And somewhere in the chain of command there may just be someone with the interest and perception to take up the cause if it is a good one. All of this responds to a scenario where there is time for the idea, concept, or disagrrement to be organized and expressed carefully in writing. But how about the more likely situation? That is where, in the course of a conference or meeting an unexpected opportunity arises to introduce a new or contradictory thought. How do you do it? How do you do it and still avoid being labeled as a boat-rocker? First the obvious, comply with Rule 1. Don´t shoot from the hip. Know your subject and believe in it.Then,be certain that what you say is factual and devoid of emotion and rhetoric. Beyond that, the impact of your effort will be affected decisively by the quality of what you say and the skill with which you say it. It will also be affected by your superior´s behavior in response to your views. He has very real responsabilities,too, regarding such a dialog, responsabilities that will be explored in detail, later in this essay. Here then, Rule 2: Express your innovative views in any forum you can find. Express your disagreement with announced policy within the structure of the chain of command. Disagreement with an idea that has momentum and high level support will never be easy, and, of this we may be sure, unless the dissent is accompanied by an alternative,it will be stillborn. If you have no reasonable alternative, your viewpoint is a dead bird. From this Rule 3 emerges: Include as a part of any disagrrement, an alternatve presented in full and persuasive detail. This applies equally, wether the setting is formal and written or a spur.of-the moment oral dialog, The enthusiastic innovator should not be content to make his disent or crative proposal a wholly private matter. He should hasten to publish his views in order to get his new or variant ideas into the public marketplace of ideas. There is no better way to stimulate discussion and to mature a concept than by publishing it. To be sure, there is a great differen ce between publication of an untested proposition, even it it is likely to generate widespread disagreement, and publication of a direct challenge to a formally anounced decision. This gives rise to a fourth altogether obvious rule: Publish, by all means, and as much as you like, before a final and formal decision is made. Thereafter, do not challenge the decision publicly. Be assured that publication under the latter circumstances, however accurate, however well-intentioned, will be taken at face value and viewed as a conscious challenge to authority, which is to say a shortcut to professional disaster. Col (later Commandant) John A.Lejeune lectured on and published unpopular views regarding the trascendent importance to the United States and the Marine Corps of the creation of a major amhibious capability. Two commandants were unconvinced by his efforts and told him so. But he continued to write and was ultimately successful. 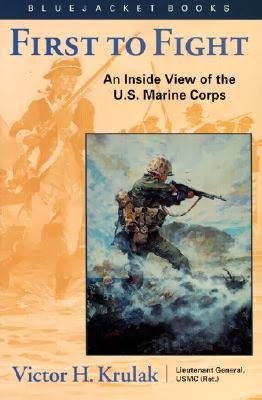 Col(later Commandant)John H. Russell, in the first edition of the Marine Corps GAZETTE in 1916, made a plea that amphibious assault be established as the primary Marine Corps mission. He wrote in the face of much contrary feeling in the Corps, where the more popular idea was to place primary emphasis on service aboard ship and at naval stations ashore. Col Robert D.Heinl, Jr, an officer of unusual perception,served in Haiti for three years , where he had much opportunity to observe the venal and oppressive behavior of President Francois (¨Papa Doc¨)Duvallier. On his departure from Haiti, Heinl accurately described conditions there in an interview with a national magazine. Unfortunately, his portrayal was exactly opposite to the formally stated US position. Because Papa Doc was, officially a US ally, Heinl suffered condemnation from the State and Defense Department. A Legion of Merit, in the works for him, was cancelled and he was officially reproved. Now, back to the basic question. Having respected all the foregoing rules scrupulously, suppose your viewpoint has still not gotten off the ground. Suppose your idea is rejected.Or suppose your disagreement makes no headway.What then? A fifth rule, and by far the most important one of all: If you are able to swallow whole your disappontment, if you are able to work, flat out, to carry out a decision with which you do not agree, well and good.Do it. But do not forget your convictions and do not forgo any opportunity to express your contrary views, always in the proper setting. But if you are unable to countenance the decision as made, do not denigrate it.Do not withhold your best effort to make it wok.Quit, just quit. Quit and take your ideas and your frustrations into the civilian world where you may complain to your heart´s content and disagree in any forum you choose. First, RADm James H. Doyle, USN, was designated as attack force commander for the amphibious landing at Inchon, Korea, in September 1950. He was strongly opposed to making the attack at Inchon because of the immense hydrographic and logistic problems. He had an alternative idea for a landing about 30 miles away that,to his mind, made better sense. He presented his dissent and his alternative in powerful terms to Gen MacArthur who was unmoved. Doyle bit the bullet. He set about, with total commitment, to make the chancy Inchon attack a success. It was, and in no small measure because of his professionalism and dedication. Second, in 1947, at the height of the defense reorganization debate, Marine BGen Merritt A.Edson found himself in serious disagreement with the stated positions of both the President and Secretary of the Navy. Having failed officially to alter matters, Edson knew exactly what to do. He quit, retired, and immediately made his contrary view known both in print and in congressional testimony, something he could not have done properly and honourably in uniform. A third, and contrasting example at the end of World War I, the strategic employment of air power was little understtod and less appreciated in the War and Navy Department. Bgen Billy Mitchell, with a distinguished combat record, was well positioned to be the principal spokesman for strategic air power. Faced with an official policy with which he did not agree, Mitchell, while still in uniform, published articles, wrote a book, and made spec hes condemning the judgement, competence, vision , loyalty, and motivation of those senior officials who opposed his views. He was court-martialed and convicted. Here was an able man with a good idea, but he handled it improperly and suffered accordingly. We have addressed at some length the problems of the innovative or questioning subordinate and have laid down some rubrics concerning his behavior. Now, how about the corresponding problem, that of the superior who must deal with these situations as part of his responsability? We must begin by acknowledging that his obligation is far greater, far graver, than that of a subordinate who feela that he has a good idea or has some cause to disagree. However important the quality of creativity is in the subordinate, it is even more important in the superior. If he has a strong instinct to innovate, if he is willing to speak up and to write for publication himself, it is likely that he will be an affective vehicle for nourishing the ideas of his subordinates. We should emphasize that not all creative ideas are good, however stubbornly they are held. But not all of them are bad either, and the superior who has the precious ability to discriminate between the two and the receptivity of mind to contemplate the new or the contrary idea is a man of great value. Conversely, the leader who does not possess those sovereign gifts is a continuing impediment to progress. Once I heard two generals talking about LtCol (later Gen)Merrill B. Twining. One said: ¨Well, the trouble with Twining is that he is always upsetting things with some new idea or other¨. What a wonderful tribute!. What greater praise could one seek than to be identified as the man who is guilty of ¨ upsetting things¨ with new ideas? And the general who found Twining´´s creative behavior odious, how about him? It could be that he was not thinking, just rearranging his prejudices for the benefit of his audience. Or it could be that he had been misled by Ecclesiastes 1-18 ¨To increase knowledge only increases distress¨. But the sadder likelihood is that he was professionally long dead, frozen stiff under the icy hands of custom, convention, conformity, and timidity, a hazard to his Corps and best replaced. And from this something fundamental begins to emerge. No amount of originality, logic, eloquence, or passion on the part of a subordinate will prevail if the superior lacks the wisdom to stimulate disagreement or the elasticity of outlook to contemplate a novel proposition. Nothing good is going to happen if he does not possess the quality of inspiring initiative among those under his authority and the willingness to pursue every potentially god idea to its conclusion. Here, them, is the fabric of Rule 1 for superiors Because you probably don´t know it all, and because your subordinates represent a valuable source of ideas, make it your duty to bring their ideas and crticisms to the surface where all may analyze and evaluate them. Nurturing this rule to full flower requires much more than the plain statement than the commander is receptive to an idea or two, providing it is really good. It requires a dynamic approach that encourages criticism, rewards innovation, and deals mercilessly with the bureaucratic quicksand that is likely to smother a novel concept. An example once, when I was a captain commanding a .50 caliber antiaircraft machinegun battery, one of my sergeants brought me what he believed was a good idea. The .50 caliber antiaircraft machinegun was incapable of hitting anything because of its great vibration an essentially useless weapon. The sergeant bolted one firmly to the bed of a light truck on the theory that the truck springs would set up a harmonic with the rate of recoil of the weapon, neutralize the vibration, and thus add to its accuracy. It worked. With innocent enthusiasm I wrote a letter, with statistics, photographs, and diagrams advancing the idea. Nothing happened. Inquiry of the staffs at intervening headquarters revealed that no action had been taken. The idea had been swallowed, digested, and buried by the bureaucracy. That is, it had been buried until a fortuitous day when the commanding general chanced to drive by at the same time we were firing our truck-mounted device at target balloons. You can guess the result. He became interested. The papers were disinterred from their bureaucratic crypt, and the idea given a good, and successful, testing. The general was indignant that this inefficiency had taken place, but he seemed to miss the point that the fault was his in the first place for tolerating a system where such things could happen. So, here we have Rule 2 for superiors: Clear a path. Make sure that the road to the top is wide open for ideas, opinions, and criticism, and that everyone knows that initiative is respected as a precious military jewel. 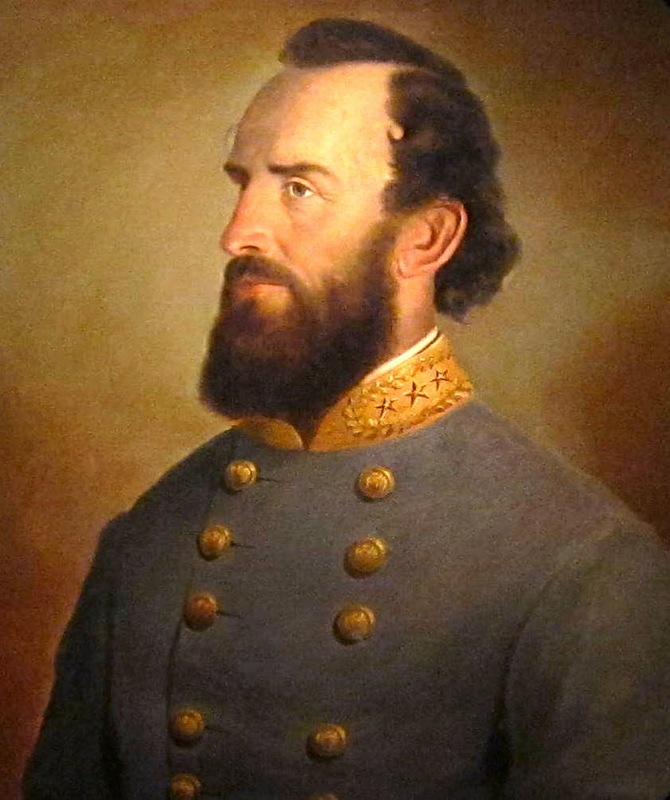 It is told that in 1862 Stonewall Jackson, leaning against a tree and staring down the Shenandoah Valley, was asked by one of his staff officers what he was doing. He is supposed to have replied: ¨I´m trying to figure out what the Yankees are up to .If anyone in this army thinks he knows, tell them to come up here and see me¨. Jackson was clearing a path. Marine Gen Keith B. McCutcheon, as an air wing commander, once said, ¨If anybody has an idea that will make this outfit better, my door is open. Just one thing, when he comes, I want all of the intervening commanders to come with him¨. McCutcheon too, was clearing a path. In addition, he was demonstrating to his subordinate commanders the importance he placed on free communication and on the chain of command. Encouraging initiative presupposes an understanding, by seniors and juniors alike, that innovation is imprecise, that error and false starts must be expected, that to try and fail is much to be preferred to never trying at all. And there is Rule 3 for superiors: Protect your subordinates as they make their mistakes. Don´t attempt to run your command as if there were such a thing as a zero defects military society. If you do, your unit, however large or small, will be a hollow shell comprised of timid men who, when the battle challenges their initiative, will collapse under the pressure. And it will be more your fault than theirs. Furthermore, if your own superior implies that you should try to run your command on a no-defects basis, have the integrity to take issue with him. In World War II, while recovering from a wound, I was assigned as the Marine Corps logistic chief, 29 years old, innocent, ignorant, and full of ideas. One idea was an amphibian cargo trailer, intended to be towed ashore by an amphibian vehicle. Under my prodding, we bought 700 of them at $12,000 each. For a lot of reasons, they did not work out well. Very few ever used in combat. Eight million dollars and change went down the drain. In the ensuing recriminatory flap, my superior BGen G.C. Thomas, insinuated himself quickly into the issue, declared that progress is made only those who are willing to accept a few mistakes along the way. I was chagrined at having done badly, but my initiative was kept alive by my superior, for whom my respect grew immeasurably. Finally, a word about the virus of hypocrisy. Battles have been lost, opportunities missed, and reputations ruined where subordinates busied themselves telling the commander what they believed he wanted to hear rather than what they knew to be true. The sycophant is one of the great devils of the military world. He has an extraordinary capacity to survive, indeed to prosper a melancholy condition that is less a product of his own ability to ingratiate himself with his superior than it is a measure of the weakness of the superior himself. It becomes quickly apparent when a commander would rather hear his own views played back than risk hearing ideas that may in some way be repugnant to him. This egotistic behavior will cause the opportunists immediately to set about making themselves agreeable rather than useful. Unless they are very lucky, both the flawed commander and the patronizing subordinate are headed for trouble, the former led into poor decisions and the latter put to the guillotine by the first no-nonsense commander he encounters. Adolf Hitler and his immediate clique of advisors are the classic example. Hitler had a passionate determination to invade Soviet Russia and capture Moscow. Many of his military advisors, skilled professionals who understood the hazards of time, space, weather, and the nature of the Russian psyche, were overpowered by the Fuehrer´s lunatic personality. They chose to agree with him rather than risk confrontation. Their stripes meant more to them than their self-respect, and the consequent disaster for the Nazis changed the face of Europe. Similarly, Hitler was determined to invade England. His military commanders knew they had neither the requisite logistic support nor the ability to maintain air superiority over the English Channel. Nevertheless, they avoided confrontation by endorsing a flawed plan and proceeding to waste valuable resources and time building a fleet of invasion craft they knew could never be used. So here is the fourth and final rule, one for those superiors who want to avoid being led into trouble by sycophantic subordinates: Make very clear that you will not tolerate patronizing behavior on the part of your subordinates. Emphasize that their minimum duty to you, to your institution, ad to their country is an honest and fearless expression of their best thinking the innovation and dissent of which we spoke at the outset. And then, by your day-to-day conduct , make plain that you mean it. Let me conclude with a respectful genuflection to valor and esprit. These, the two great intangibles in warfare, have often provided the precious difference between defeat and triumph. Their importance must never, in any way, be denigrated. But in the great battles, at Cannae and Lepanto, at Tannenberg and Tsushima, at Cape St.Vincent, Chancellorsville and The Marne, we must acknowledge that a creative mind fashioned the setting for victory in each case. It was a mind that could think beyond the moment of crisis and see beyond the horizon of battle that set the scene for bravery and leadership to work their wonderful magic. It is this disciplined military mind, harnessed, directed, and encouraged, that can nourish innovation, inspire fruitful dissent and, in the end, dissolve the dilemma that created this discussion in the first place. LtGen Victor H.Krulak Marine, autor, stateman began his career in the Marine Corps in 1934 after graduating from the US naval Academy. Gen. Krulak, a native of Denver, received his appointment to the Naval Academy before finishing high school. He received a waiver to bypass the Marine Corps height requirement of 5 feet 6 inches. Standing barely 5 feet 5 inches tall, he was jokingly nicknamed Brute by his academy classmates. The moniker stuck, reinforced by his direct, no-nonsense style. 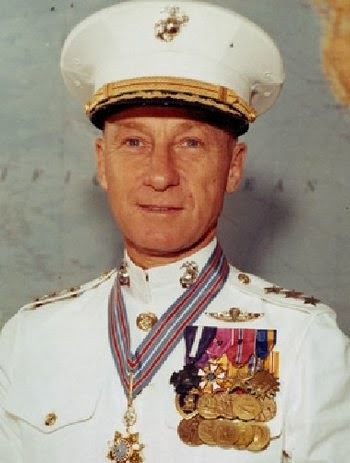 He served during a period spanning three wars, World War II, Korea and Vietnam in a variety of posts, including commander, 2d Parachute Battalion at Choiseul (1943), chief of staff, 1st Marine Division in Korea (1951), direector,Marine Corps Education Center (1957),commanding general,Marine Corps Recruit Depot San Diego(1959),special assistant for counterinsurgency and special activities,Joint Chiefs of Staff(1962),and commanding general,FMFPac (1964).He retired from activity duty in 1968. Before his retirement from the military after 34 years in 1968, he was considered a strong candidate for commandant, the top Marine post that his son Charles attained in 1995. After leaving the military, Gen. Krulak worked for Copley Newspapers, serving at various times as director of editorial and news policy and as news media president of Copley News Service. He retired as vice president of The Copley Press Inc. in 1977 and then contributed columns on international affairs and military matters for Copley News Service.